In the summer of 2015, after Mondo had removed the Commonwealth Stadium track from Hampton Park Stadium to Crownpoint Stadium, we high pressure deep cleaned and painted the lap lines red. 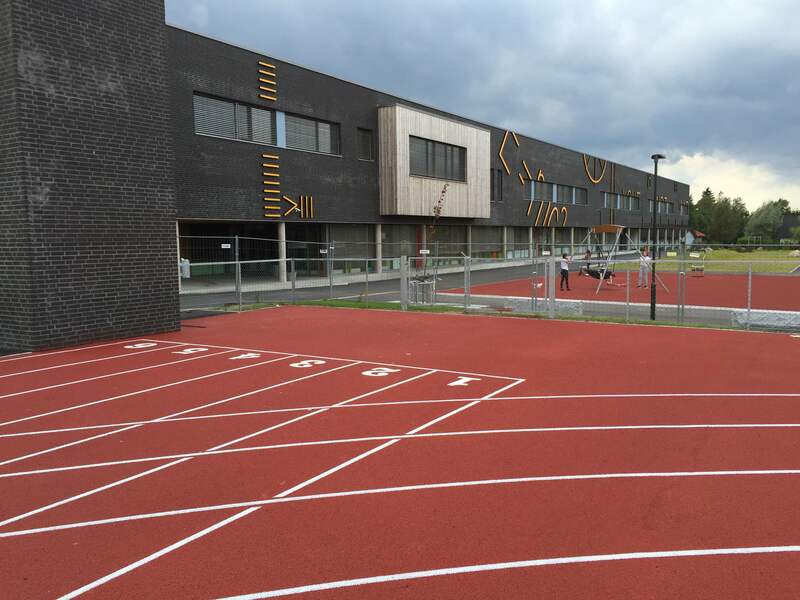 Following this, we surveyed and painted the lines and events on the 8 lane track. 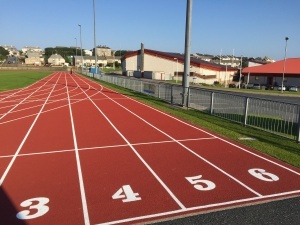 Previously, the alluminium kerb had been stolen, so our UPVC white track kerb was selected for this prestigious project as it is the best that’s available. 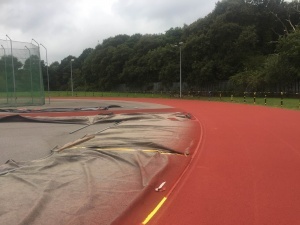 We then organised for the track and facilities to achieve an IAAF class II certification. 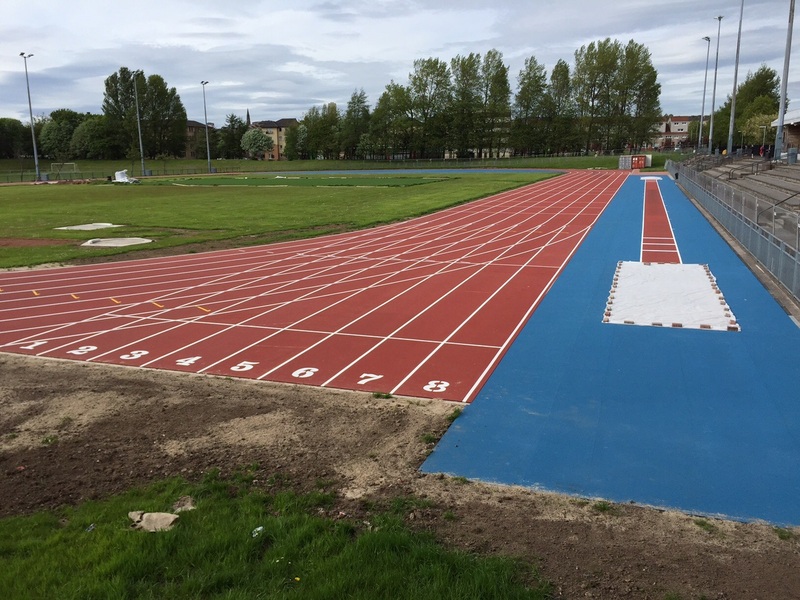 This entry was posted in Scotland on September 24, 2015 by wladmin. 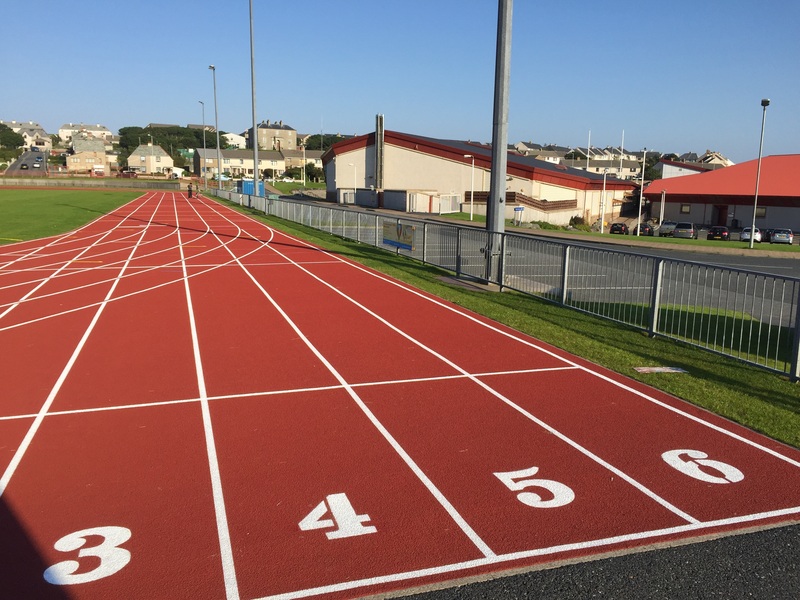 In August 2015, we completed cleaning, and after the track was resurfaces, we surveyed and painted the 6 lane, with 8 lane home straight track in the beautiful Lerwick in the Shetland Islands.